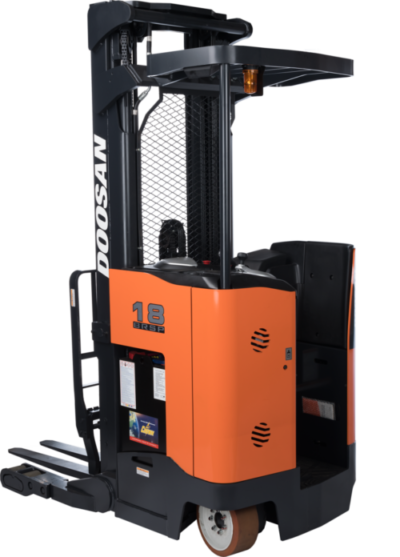 The Doosan BR18/20SP-7 Narrow Aisle Reach Truck can increase storage utilization by reducing aisle width as compared to the usage requirements of sitdown-type forklifts. This allows more storage for products in the same amount of warehouse space. 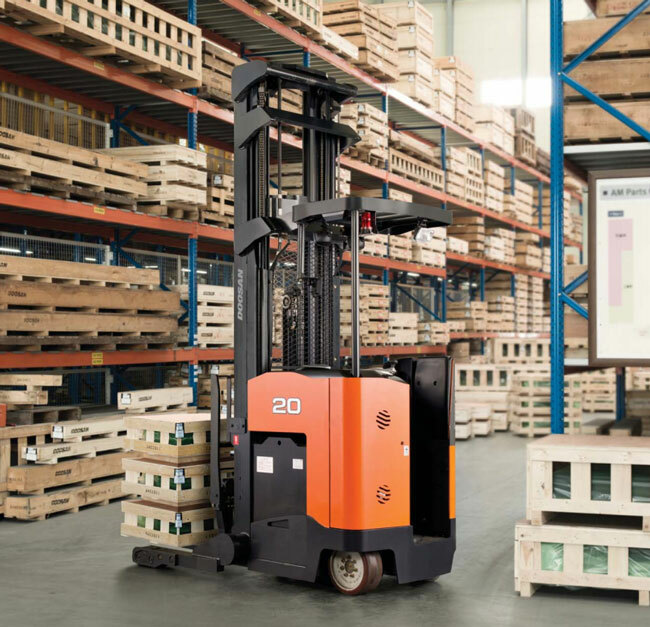 The BRSP series of Narrow Aisle Pantograph Reach Trucks hold true to the Doosan tradition of delivering reliable, state of the art technology at a competitive price. An Auto Deceleration feature is included that automatically slows travel speed when turning to provide an extra margin of safety. 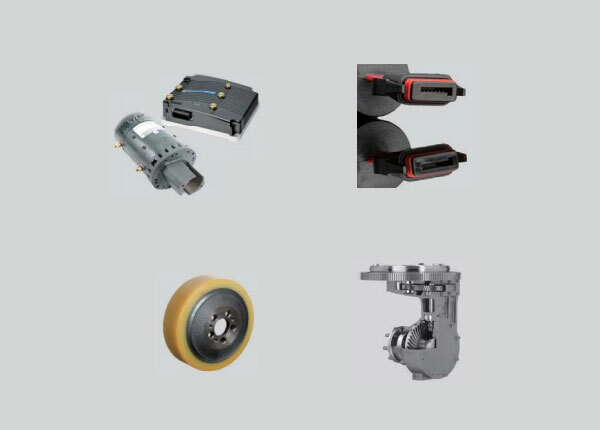 At start up, the drive tire will automatically center in the forward direction to prevent accidental movement in the wrong direction and potential damage or injury. 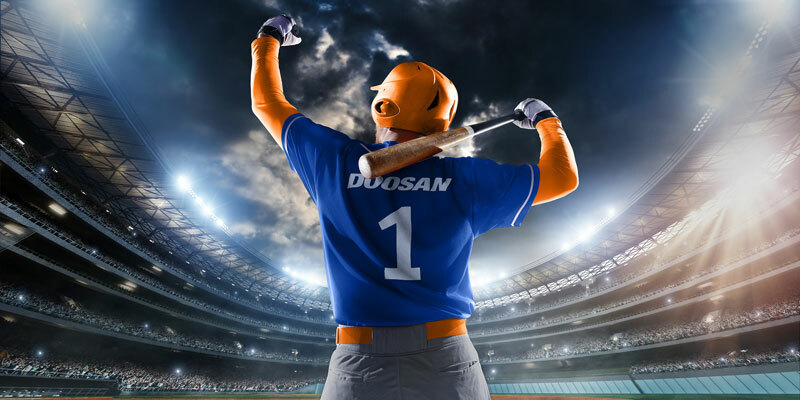 Doosan knows the operator is the most important part of a productive warehouse system. An operator who is comfortable, confident and aware is a productive operator. 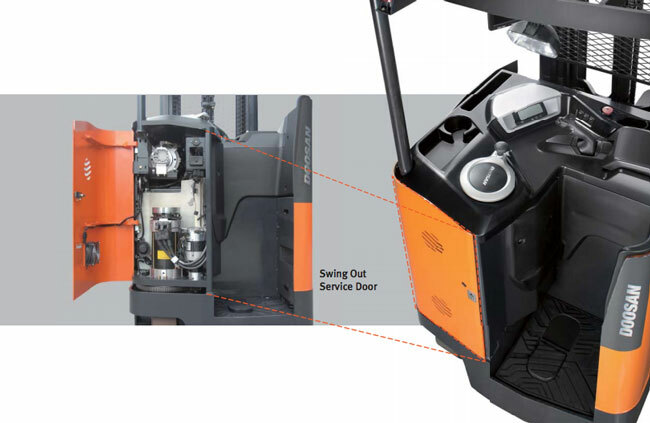 The swing out service door and removable dash provide convenient access to all major components speeding repair time and reducing downtime. Offers excellent protection to the drive and lift motor for increase reliability and durability in demanding applications. Electrical connections are sealed with silicon to prevent water from penatrating and causing short circuits. Tight manufacturing tolerances reduce heat and wear Break in oil change after 50 hours is all that is required. Superior tear and abrasion resistance compared to standard poly tires and wheels.